Before the University of Virginia School of Law blows out its birthday candles, it’s going to have to catch its breath. Martha and Bruce Karsh, alumni and philanthropists who met at UVA as law students, announced at a celebratory dinner Thursday that they will donate $43.9 million to the Law School. The gift is the largest in the school’s history and makes the Karshes the institution’s first $50 million donors. Fund the Law School’s premier student scholarship program, which helps attract the best and brightest students and future legal minds to Virginia and awards full tuition and fees for all three years of legal study. The program will be renamed the Karsh-Dillard Scholarships. Establish the Karsh Center for Law and Democracy, which will support interdisciplinary programming and symposia focused on respect for the rule of law, civic engagement, civil discourse, the ideals of a plural society, and the indispensable values of truth, integrity and ethics. Create an endowed professorships fund to support faculty affiliated with the Karsh Center. The $43.9 million gift includes $18.9 million in matching funds from the University’s Board of Visitors, which will be given in the Karshes’ name. The gift kicks off the Law School’s bicentennial celebration as well as its Third Century Campaign. The UVA School of Law is the nation’s second-oldest continuously operating law school. Thomas Jefferson founded UVA in 1819, and law was an original “department” of the University. Law School Dean Risa Goluboff praised the Karshes’ generous gift, which she said will expand opportunities for students, faculty and programs. Combined with their previous gifts, the couple have now committed in excess of $50 million to the alma mater where they earned their law degrees, and more than $250 million overall in education philanthropy through their Karsh Family Foundation, which they launched in 1998. Bruce Karsh, a 1980 graduate of UVA Law, is co-founder, co-chairman and chief investment officer of Los Angeles-based Oaktree Capital Management, a global investment management company with $120 billion of assets under management. He served 12 years on the Board of Trustees of Duke University, where he earned his undergraduate degree. He serves on the executive board of the NBA’s Golden State Warriors, of which he and Martha are co-owners. Martha Karsh, a 1981 graduate of UVA Law, is a leader in the nonprofit world and co-manages the Karsh Family Foundation giving. She serves on the national board of the KIPP Foundation, and is a trustee of KIPP in Los Angeles. (KIPP – “Knowledge Is Power Program” – is the nation’s largest network of high-performing public charter schools.) She also recently served as a board member to Los Angeles’ successful efforts to host the 2028 Summer Olympics. A trustee emerita of the UVA Law School Foundation, she co-founded the Los Angeles design firm Clark & Karsh. The couple began their careers as practicing attorneys. Shortly after graduating from UVA Law, Bruce Karsh clerked on the U.S. Court of Appeals for the Ninth Circuit for then-Judge Anthony M. Kennedy, now associate justice of the U.S. Supreme Court, and afterward practiced law at O’Melveny & Myers. Martha Karsh practiced as a business litigator with Stroock & Stroock & Lavan and Adams Duque & Hazeltine and, thereafter, worked at UCLA Student Legal Services. The couple’s gift adds to their other contributions to UVA Law, including the Karsh Student Services Center, which opened in 2012. 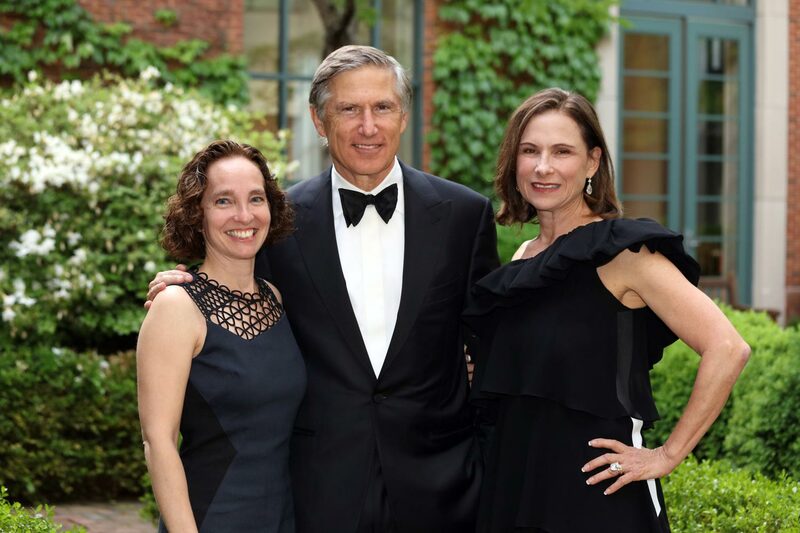 Luis Alvarez Jr., president and chief executive officer of the Law School Foundation, said the Karshes’ leadership will inspire alumni and friends ahead of the Third Century Campaign. “Their focus on access and excellence reflects our highest ambitions, which makes what they are doing so special,” said Alvarez, a 1988 graduate of the Law School.